I wasn’t there to talk about comics, but comics found me anyway. At PAX South in San Antonio, Texas, I was picking up business cards from indie game developers and gazing forlornly at the forever-capped line to demo the Nintendo Switch when a friend and I stumbled upon a booth for a small comics publisher that I’d never heard of. A lone gentleman at a small table was selling his company’s first trade paperback, an artbook, and a handful of single issues, all of it created, published, and marketed by members of America’s indigenous tribes. Since you know I write for Book Riot, you probably already guessed that I snapped up some sweet comics and took their card for future reference, assuming that would be my only chance to interact with this publisher. The next morning I discovered that not only had the publisher, Native Realities, organized an entire panel for PAX, I had already added it to my schedule. So I and a roomful of my new friends heard from Native Realities’ CEO and Founder, Dr. Lee Francis IV, and CCO Aaron Cuffee at a panel they had titled “A Place at the (Gamers) Table: Native American Culture and the Rise of the Indigenerd!” – an indigenerd being anyone who is interested in more accurate and diverse depictions of indigenous people in popular media. Native Realities had been founded, they explained, to give indigenous people an outlet to create their own representation in the face of depictions that were “limiting, if not disheartening,” as Cuffee tactfully stated. The most common tropes used for indigenous characters treat them as inherently violent or as relics of a lost civilization, both of which notably place them outside the “modern order.” Calls for greater representation don’t just push back against ignorance – often they fight an active campaign of misrepresentation that justifies brutal treatment of a marginalized group. So the self-described nerds at Native Realities are creating their own superheroes, using the same pop-culture mediums they’ve loved for years but never felt ownership of – until now. Tales of the Mighty Code Talkers, volume 1 – A collection of diverse stories about indigenous people who used their native languages to aid the American military throughout the global conflicts of the twentieth century. A true labor of love from Arigon Starr, who not only edited but wrote, pencilled, and/or colored anywhere a story needed helping hand. (Read Book Riot’s 2015 interview with Starr here). 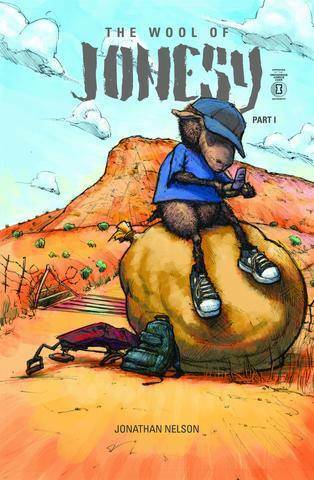 The Wool of Jonesy, #1 (story and art by Jonathan Nelson) – The first issue of a slice-of-life tale starring a literal black sheep making do on the reservation. So a chance encounter with a comic book has opened new worlds to me, as it likely did for Dr. Francis and his fellows, and as it will continue to do for a new, diverse generation of readers.